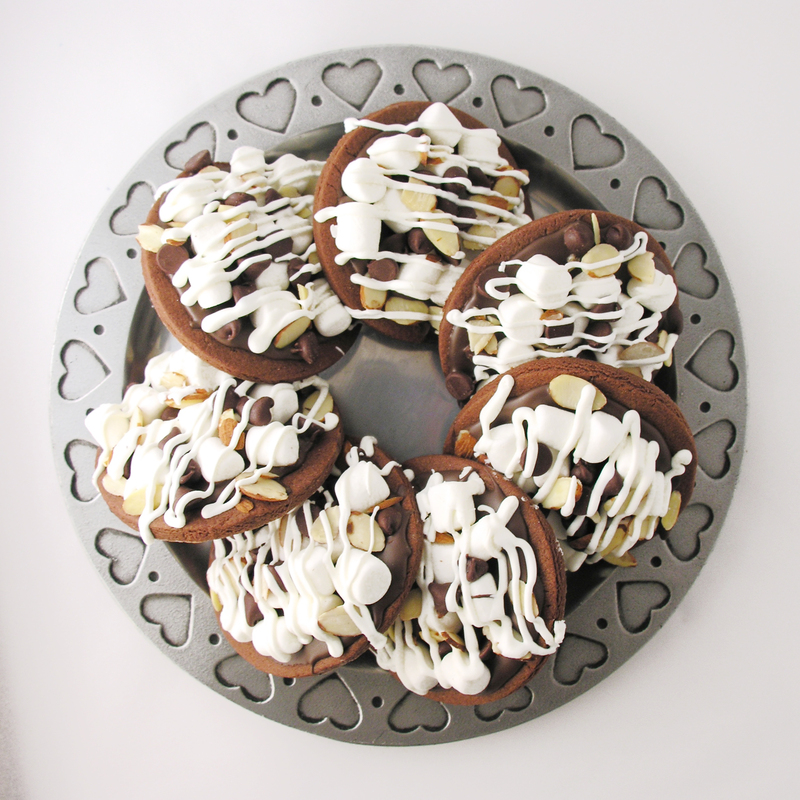 Rich fudge cookies covered in a pile of marshmallows, chocolate and almonds. 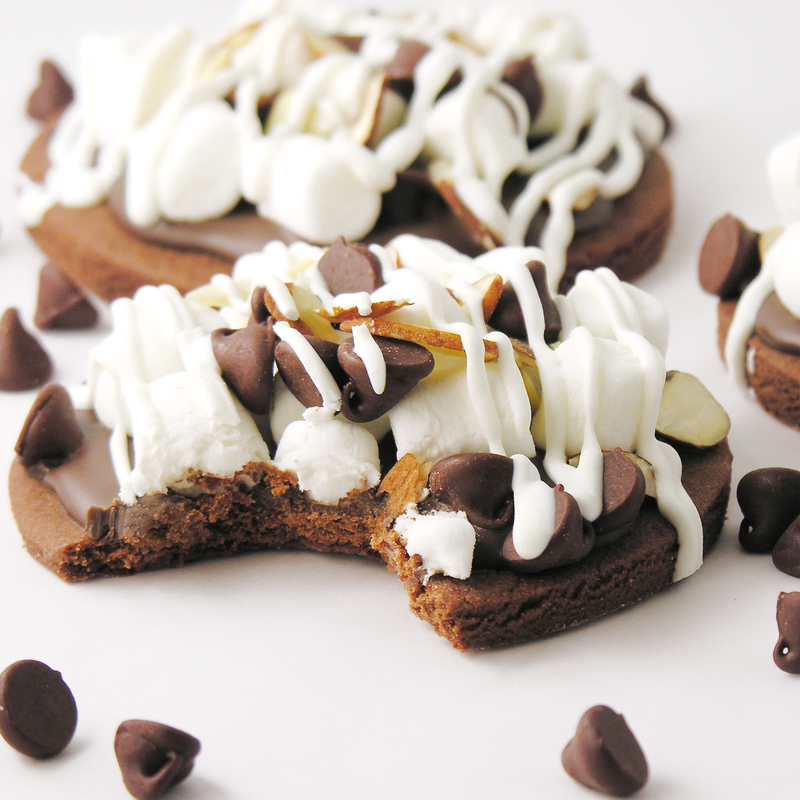 A perfect rocky road combination! So they invented this crazy new flavor, and then the Great Depression hit- and people didn’t have much money to buy ice cream. In a feat of marketing genius, it was given the name “Rocky Road” to relate to what people were going through and boost sales. It must have worked, because this flavor of ice cream has stood the test of time and is still filling the freezers of America. Since ice cream isn’t my favorite dessert, I like to take these flavors and create other things with them instead! I made Rocky Road cupcakes a couple of years ago on Easybaked, and they are still one of my favorite recipes. Yum. These are easy to make, and a perfectly rich, but not too sweet treat for any holiday or celebration. Or just for Mondays. Mondays always need good cookies. Roll out cookie dough on floured counter. 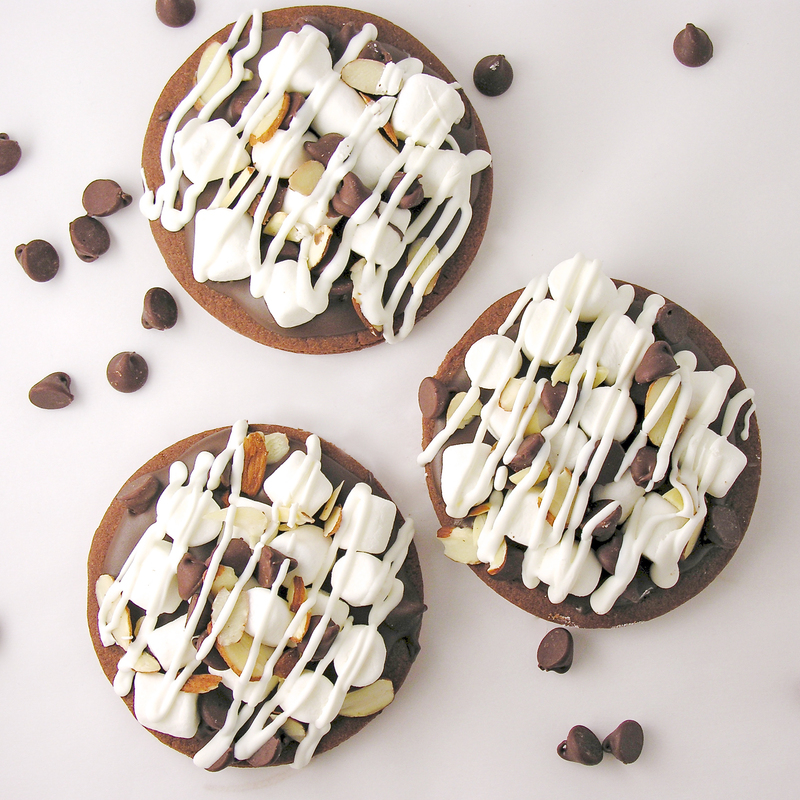 Cut into large circles (you want to have room for all those toppings!) and place on a parchment-lined baking sheet. Slide parchment paper off cookie sheet with cookies on top. Allow them to cool on counter. Melt dark cocoa candy melts in microwave in 30 second increments, stirring in between until smooth. 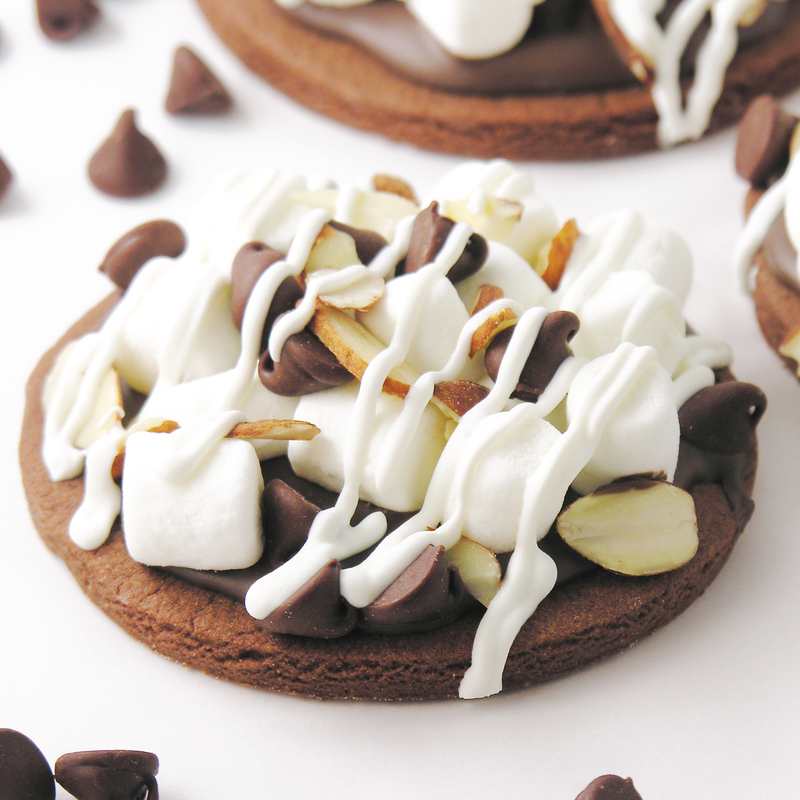 Spoon about a tablespoon of chocolate on the top of a cookie and spread to edges. Immediately (before chocolate hardens) add marshmallows, almonds and chocolate chips. They all don’t have to touch the melted chocolate, and some can be loose on top. Finish all cookies in the same manner. Melt white candy melts in the microwave in 30 second increments, stirring in between until smooth. 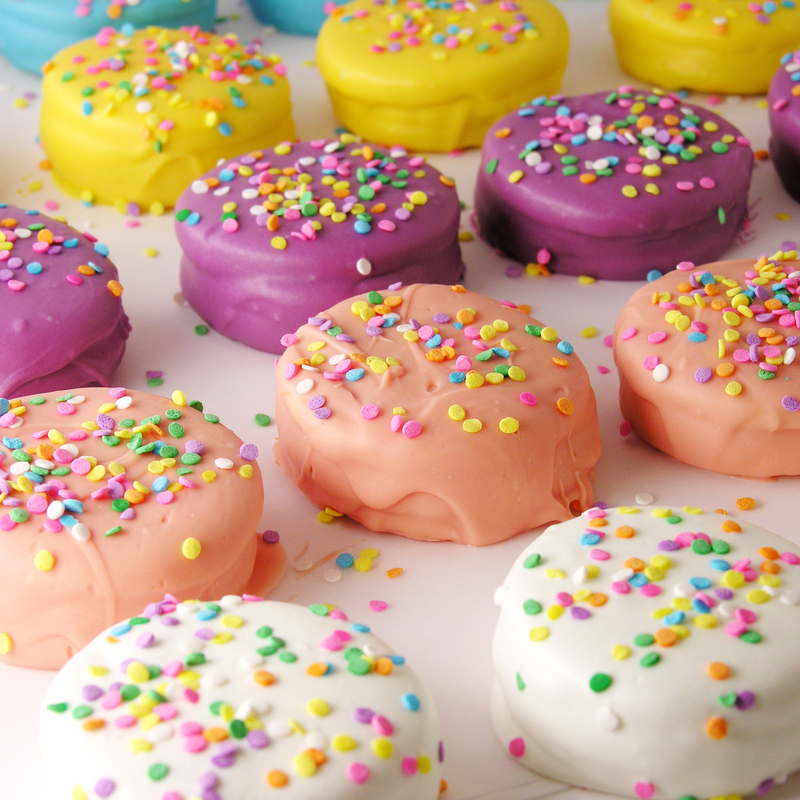 Place candy melts into a small zip-top bag, clip a corner and drizzle white chocolate over the top of each cookie as shown. Allow everything to harden up. Store in an air-tight container for up to 5 days (the marshmallows get a little chewy past that point). 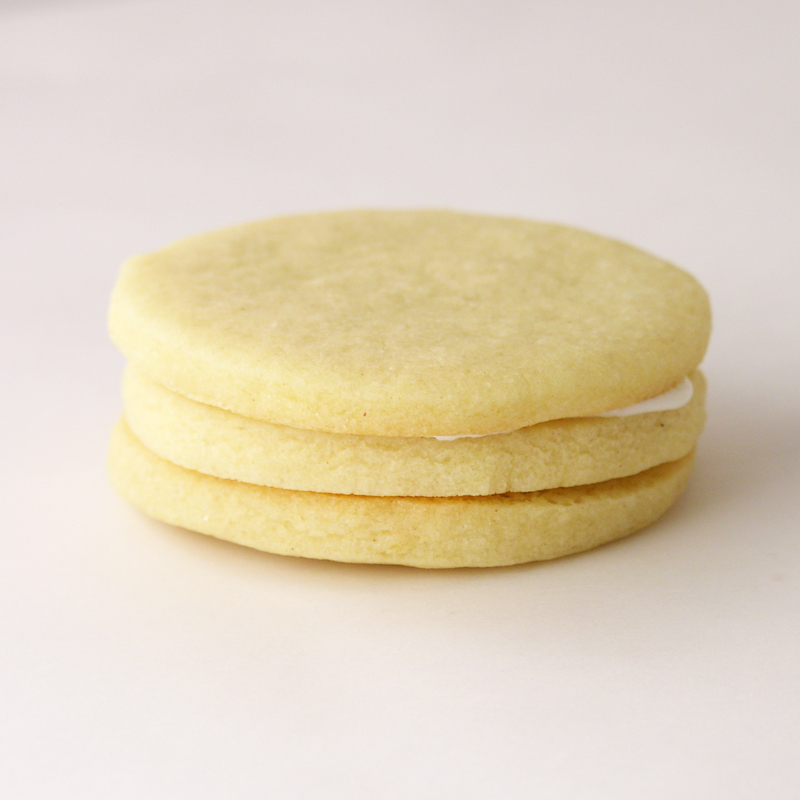 Make sure to layer parchment paper between the layers of cookies when storing them. Posted in Cookies and tagged almonds, Best chocolate cookie recipe, best cut out cookie recipe, chocolate cookies, chocolate covered cookies, chocolate cut-out cookies, chocolate marshmallow cookies, cookies, dark chocolate cookies, dessert, easy chocolate cookies, fun cookie recipe, marshmallow cookies, marshmallows, rocky road, Rocky Road cookies, sliced almonds, Valentines Day cookies. Bookmark the permalink. What better way to celebrate the New Year than with confetti? 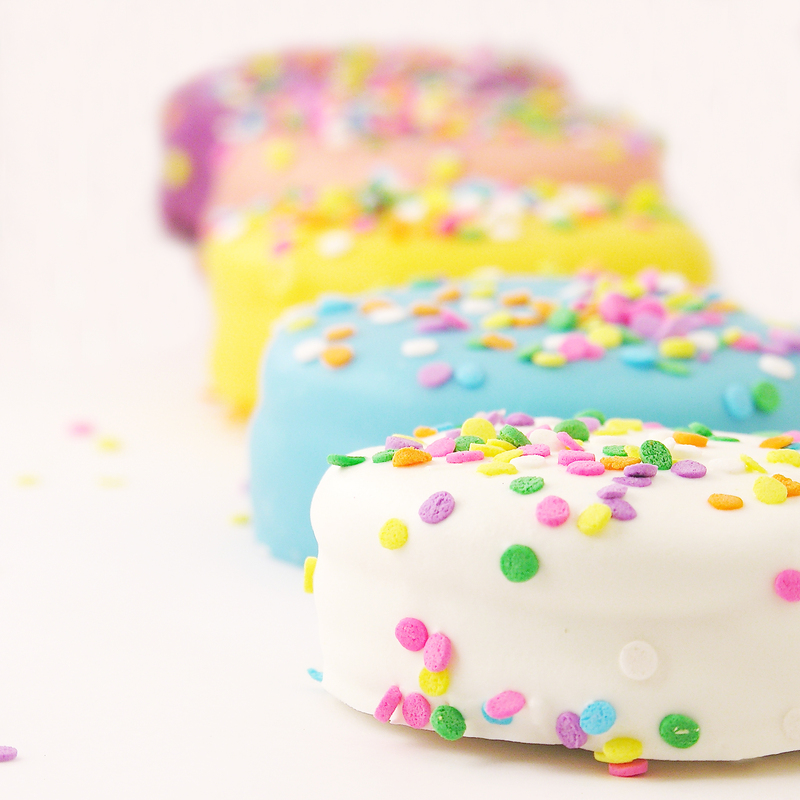 Especially the edible kind that pours out of the center of a delicious sugar cookie? So. Much. Fun!!!! 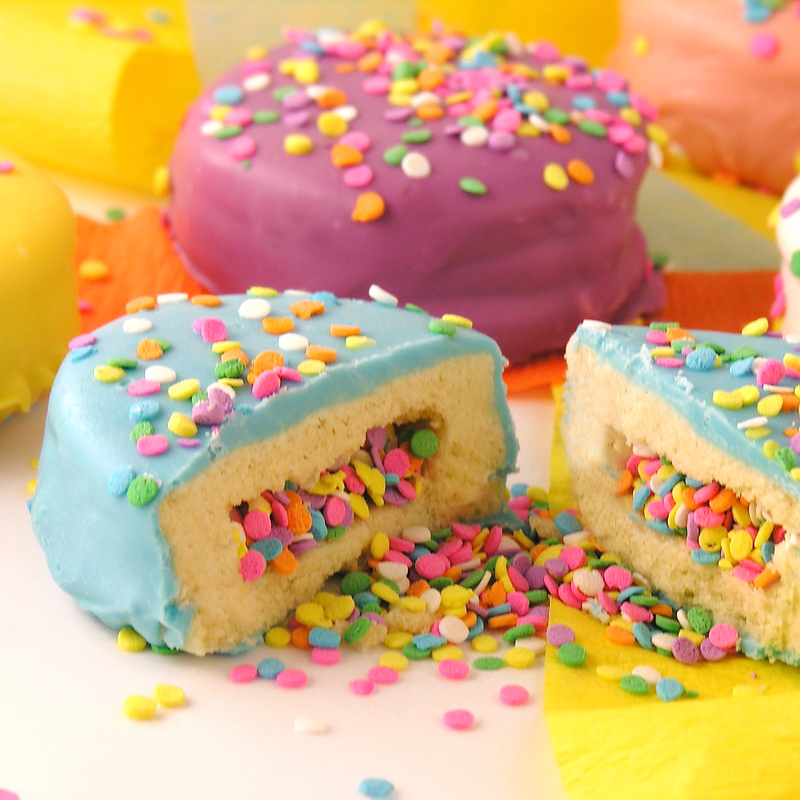 These sugar cookies are a fun and festive surprise that are sure to make your guests smile as you ring in 2015! These are easy to put together and a creative addition to any celebration! 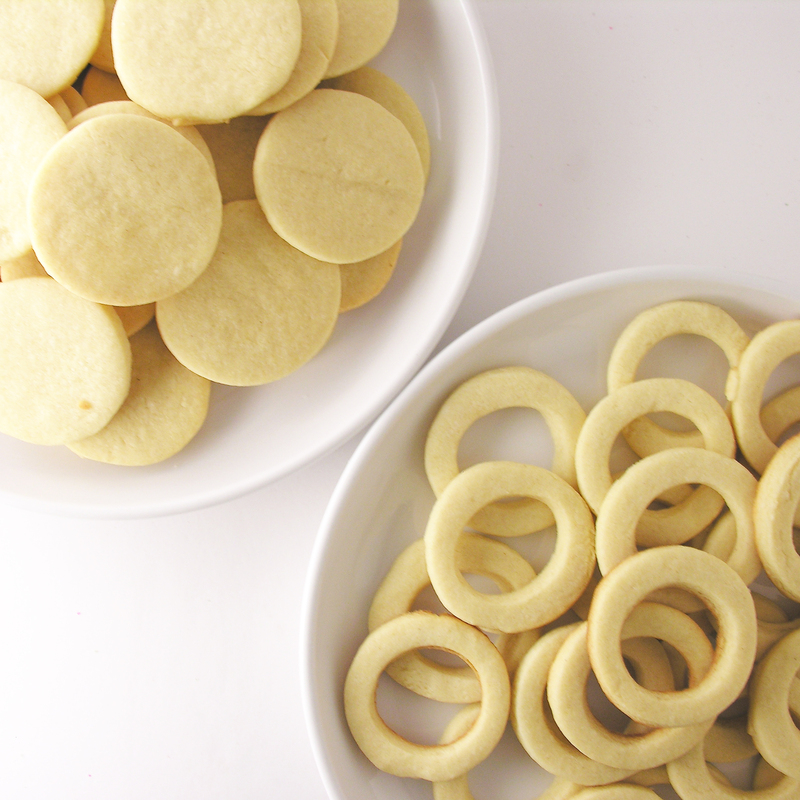 Use a slightly smaller circle cutter to cut out a center circle from 24 of these cookies. Melt about 1/4 of a cup of candy melts (I used white, but you can use whatever colors you’ve chosen) in the microwave for 30 second increments, stirring between until completely melted and smooth. Place the melted candy in a small zip top bag and cut one corner off. 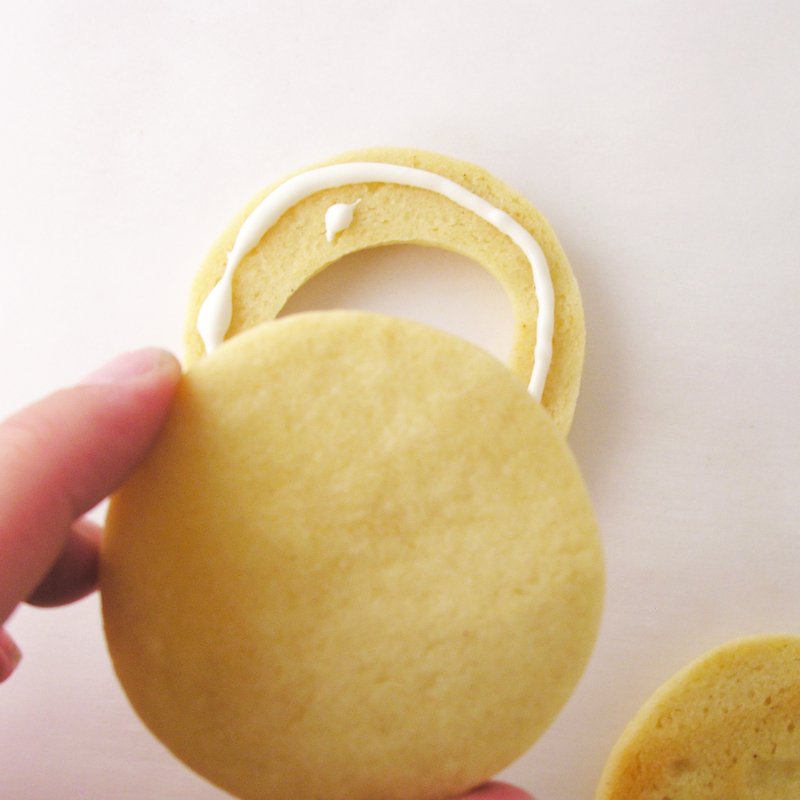 Pipe around the bottom of the “ring” cookie and place it on a “solid” cookie. 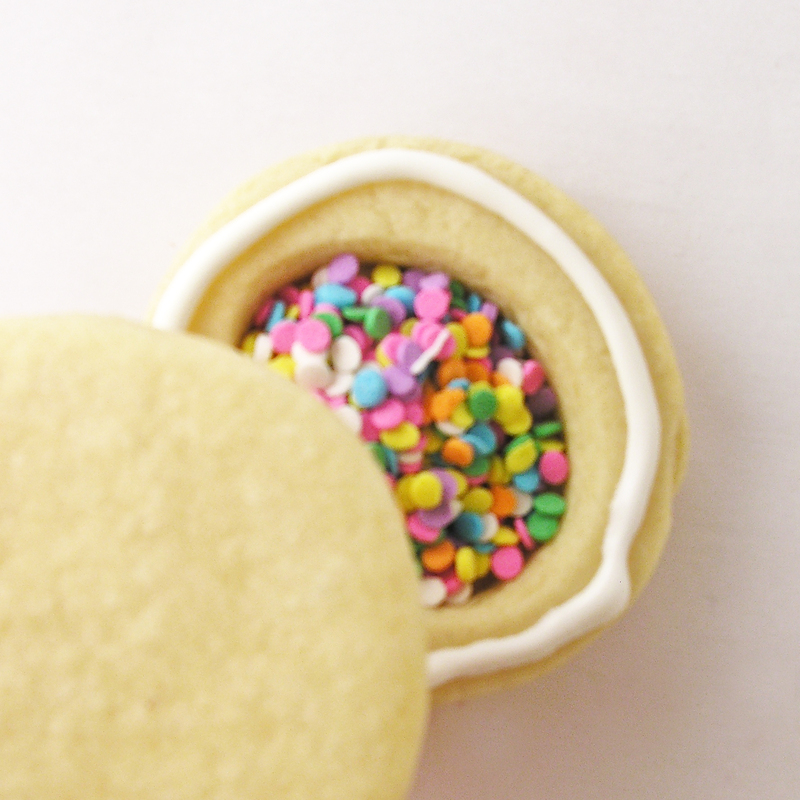 Fill the open center of the “ring” cookie with confetti sprinkles. Pipe melted candy melts around the top of the “ring” cookie and set another “solid” cookie on top. Allow these cookies to harden completely (I placed mine in the fridge for about 20 minutes). Melt remaining candy melts in the microwave in 30 second increments until completely melted and smooth. 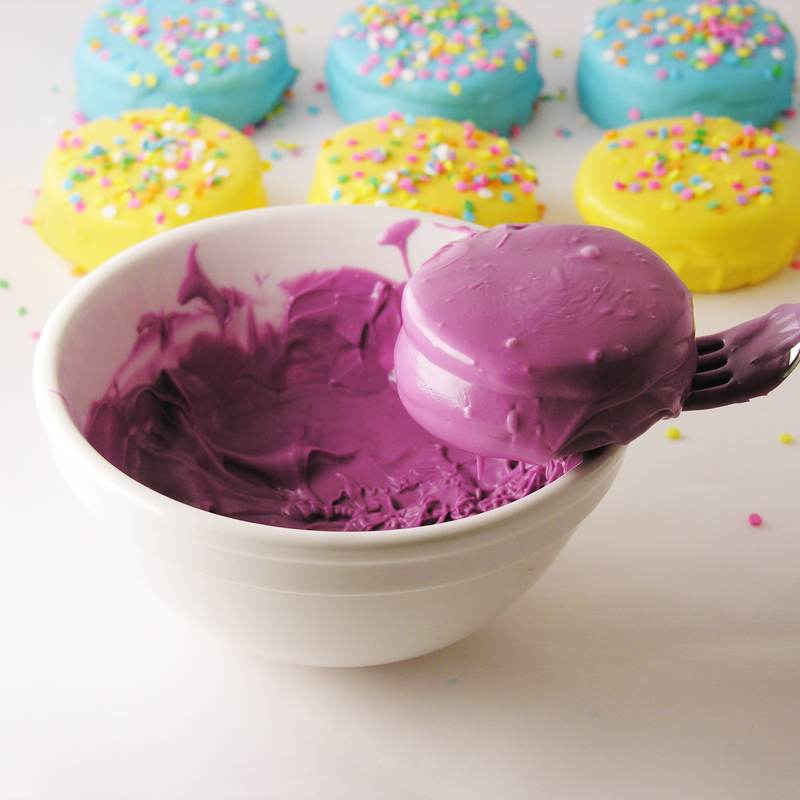 Dip cookie into melted candy and cover completely, using a spoon. Use a fork to lift out and tap against side of bowl until excess melted candy falls away. Slide bottom of cookie against side of bowl and gently slide onto parchment paper to harden. Immediately sprinkle with confetti or other decorations before candy melts harden. Package up in a tightly sealed container or in cello bags. 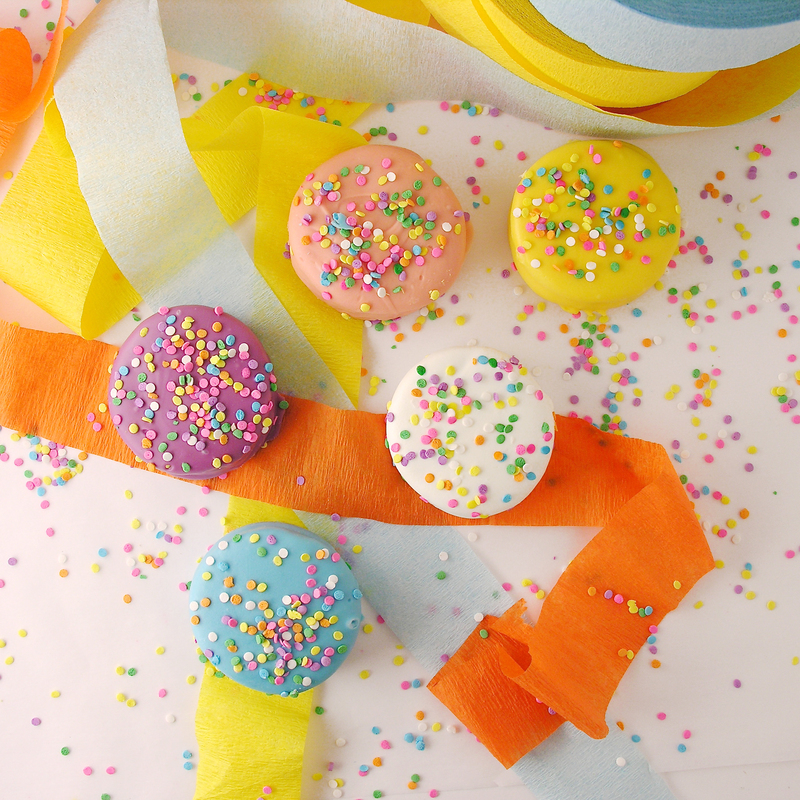 Wait until midnight and celebrate with the BEST confetti ever– the edible kind!!! My thoughts: these look complicated to make, but they really went together quickly and it was so fun to see people’s surprise at all that confetti inside. I did warn them to take that 1st bite over a plate- haha- I guess that just depends on how messy you want your floors during that NYE party! Enjoy!!! Posted in Candy, Cookies and tagged birthday party cookies, chocolate cut-out cookie recipe, confetti, confetti cookies, cookies, dessert, fun cookie recipe, holiday, kids, New Years dessert, New Years eve cookies, party, sugar cookies, sweets, unique cookies. Bookmark the permalink.